What makes this gourmet ice cream brand stand out? There is no doubt that Carmen’s Best Ice Cream is setting a higher standard in the local ice cream market. 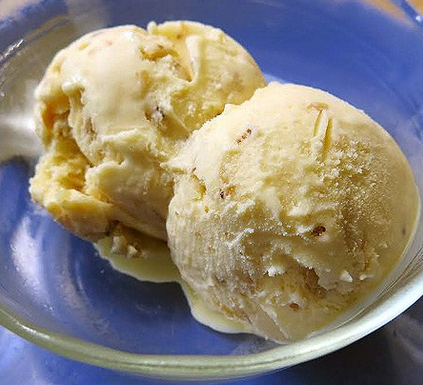 Find out why the local gourmet ice cream brand stands out in all aspects. The 46-year-old entrepreneur’s ice cream brand, Carmen’s Best Ice Cream, is slowly making its own niche in the discerning local frozen dessert market. The business has started small, and it remains that way compared to its giant competitors. But no one could deny that it has big potential. Carmen’s Best Ice Cream is premium, in all aspects. At the same time, it is also a promising business opportunity for entrepreneurs who may want to distribute it in their respective areas. So what makes it standout compared to all other ice cream brands (local and imported) today? 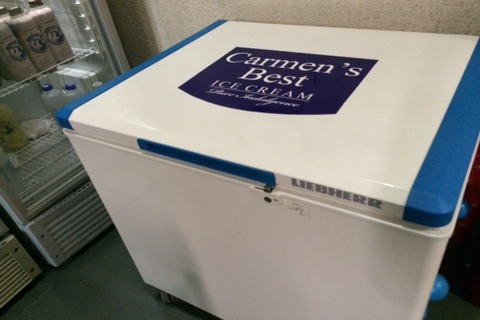 About 80% of Carmen’s Best Ice Cream is made of fresh milk and cream, which comes from the family’s own dairy farm. “Since we only have 20% of ingredients that we don’t have control of, we make sure we get the best of those for each flavor,” Magsaysay explained. Thus, chocolate, pistachio, and other ingredients that define every flavor are not of less quality. Most of those are imported. “When we choose ingredients, we don’t choose based on cost. We choose based on taste. Thus, we always have the best ingredients for each ice cream,” he continued. “We make sure that every pint is how we want it to be. In fact, there are times that I reject batches for distribution,” Magsaysay disclosed. The entrepreneur does not mind the added overhead costs that rejecting ice cream in batches would incur. That is because he adheres by his business principle that the company’s ice cream has to be of the best quality every time. For him, quality has always been a commitment of his brand. “One thing we’ve kept from the day that we started was we just want to give [the consumers] the best possible quality. We’ll never lower the quality. We’ll never cut costs just to meet revenue targets,” he further elaborated. Magsaysay admitted that he himself could not resist the temptation to indulge in one of Carmen’s Best Ice Cream’s newest flavors---baklava. So far, the brand is the first and only ice cream available locally that brings the richness of the popular Turkish dessert. He revealed that he gets his supply of baklava from a friend who was based in Turkey for six years, so it's quite authentic! When the brand started selling ice cream to the public in February 2011, it introduced only four flavors (Salted Caramel, Brazilian Coffee, Butter Pecan, and Malted Milk). All those four remain as the top selling ones. Interestingly, there are now over 40 flavors of the gourmet ice cream to choose from. And yes, each has its own interesting story to tell, aside from the exquisite taste it boasts. The company does not regularly make all flavors. Its distributors are given the privilege to choose from its list of flavors when placing orders. This is another unique practice in Carmen’s Best Ice Cream---it's only made when it's ordered. The brand’s ice cream is made at the company’s own processing plant in Alabang. Complete packaging is carried out in the facility. There is a separate business group that does the processing of cheese, fresh milk, and flavored milk from the farm. Delivery of ice cream to various distributors in different areas is another story. Cold chain is critical for the delivery of its products. Thus, the company has two insulated vans that maintain a temperature of -25°C to keep the best quality of the frozen good. Shipping to Visayas and Mindanao is trickier, as there is a need to use either air or sea freight, depending on the preference of the customer. Carmen’s Best Ice Cream is looking forward to an expansion of its operations. It is eyeing a new and bigger facility for lease along Alabang Zapote road. 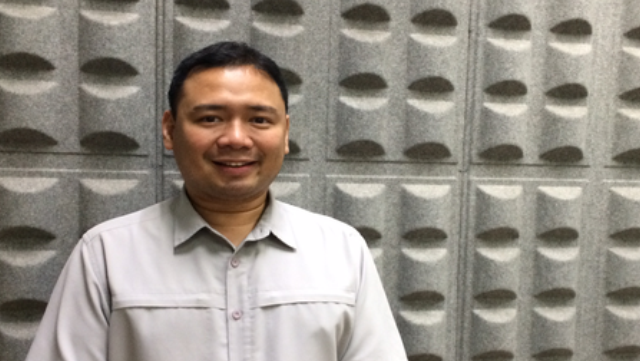 Magsaysay admits that the relocation may not make it in time for the Christmas season. To meet the anticipated high demand for the season, the current plant has to work double time. But there is an assurance that there will be no rush and that the ideal manufacturing process will not be compromised. Are you interested to be a distributor of Carmen’s Best Ice Cream? Make inquiries through its online directory listing here.